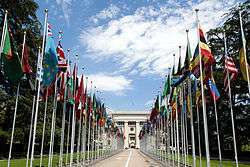 In 2012 alone, the Palace of Nations in Geneva, Switzerland, hosted more than 10,000 intergovernmental meetings. The city hosts the highest number of international organisations in the world. International relations (IR) or international affairs, depending on academic institution, is either a field of political science, an interdisciplinary academic field similar to global studies, or an entirely independent academic discipline in which students take a variety of internationally focused courses in social science and humanities disciplines. 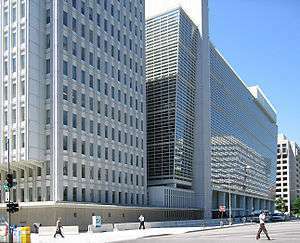 In both cases, the field studies relationships between political entities (polities) such as states, sovereign states, empires, inter-governmental organizations (IGOs), international non-governmental organizations (INs), non-governmental organizations (NGOs), and multinational corporations (MNCs), and the wider world-systems produced by this interaction. International relations is an academic and a public policy field, and so can be positive and normative, because it analyzes and formulates the foreign policy of a given State. As political activity, international relations dates from the time of the Greek historian Thucydides (c. 460–395 BC), and, in the early 20th century, became a discrete academic field (No. 5901 in the 4-digit UNESCO Nomenclature) within political science. In practice International Relations and International Affairs forms a separate academic program or field from Political Science, and the courses taught therein are highly interdisciplinary. For example, international relations draws from the fields of: technology and engineering, economics, communication studies, history, international law, demography, philosophy, geography, social work, sociology, anthropology, criminology, psychology, gender studies, cultural studies, culturology, and diplomacy. The scope of international relations comprehends globalization, diplomatic relations, state sovereignty, international security, ecological sustainability, nuclear proliferation, nationalism, economic development, global finance, as well as terrorism and organized crime, human security, foreign interventionism, and human rights, as well, as, more recently, comparative religion. The history of international relations based on sovereign states is often traced back to the Peace of Westphalia of 1648, a stepping stone in the development of the modern state system. Prior to this the European medieval organization of political authority was based on a vaguely hierarchical religious order. Contrary to popular belief, Westphalia still embodied layered systems of sovereignty, especially within the Holy Roman Empire. More than the Peace of Westphalia, the Treaty of Utrecht of 1713 is thought to reflect an emerging norm that sovereigns had no internal equals within a defined territory and no external superiors as the ultimate authority within the territory's sovereign borders. International relations as a distinct field of study began in Britain. IR emerged as a formal academic discipline in 1919 with the founding of the first IR professorship: the Woodrow Wilson Chair at Aberystwyth, University of Wales (now Aberystwyth University), endowed by David Davies. Georgetown University's Edmund A. Walsh School of Foreign Service is the oldest international relations faculty in the United States, founded in 1919. In the early 1920s, the London School of Economics' department of international relations was founded at the behest of Nobel Peace Prize winner Philip Noel-Baker: this was the first institute to offer a wide range of degrees in the field. This was rapidly followed by establishment of IR at universities in the US and in Geneva, Switzerland. The creation of the posts of Montague Burton Professor of International Relations at LSE and at Oxford gave further impetus to the academic study of international relations. Furthermore, the International History department at LSE developed a focus on the history of IR in the early modern, colonial and Cold War periods. 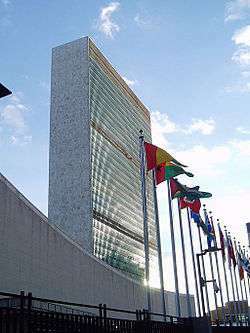 The first university entirely dedicated to the study of IR was the Graduate Institute of International Studies (now the Graduate Institute of International and Development Studies), which was founded in 1927 to form diplomats associated to the League of Nations. The Committee on International Relations at the University of Chicago was the first to offer a graduate degree, in 1928. In 1965, Glendon College and the Norman Paterson School of International Affairs were the first institutions in Canada to offer an undergraduate and a graduate program in international studies and affairs, respectively. In 2012, Ramon Llull University initiated the first International Relations degree in Barcelona, fully in English. IR theories can be roughly divided into one of two epistemological camps: "positivist" and "post-positivist". 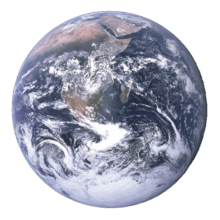 Positivist theories aim to replicate the methods of the natural sciences by analysing the impact of material forces. They typically focus on features of international relations such as state interactions, size of military forces, balance of powers etc. Post-positivist epistemology rejects the idea that the social world can be studied in an objective and value-free way. It rejects the central ideas of neo-realism/liberalism, such as rational choice theory, on the grounds that the scientific method cannot be applied to the social world and that a "science" of IR is impossible. Realists argue that the need for survival requires state leaders to distance themselves from traditional morality. Realism taught American leaders to focus on interests rather than on ideology, to seek peace through strength, and to recognise that great powers can coexist even if they have antithetical values and beliefs. 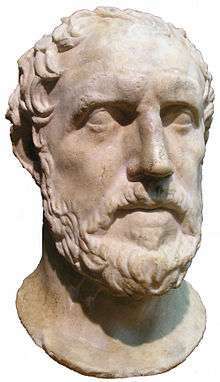 Thucydides, the author of Peloponnesian War is considered to be the founding father of the realist school of political philosophy. Amongst others, philosophers like Machiavelli, Hobbes and Rousseau are considered to have contributed to the Realist philosophy. However, while their work may support realist doctrine, it is not likely that they would have classified themselves as realists in this sense. Political realism believes that politics, like society, is governed by objective laws with roots in human nature. To improve society, it is first necessary to understand the laws by which society lives. The operation of these laws being impervious to our preferences, persons will challenge them only at the risk of failure. Realism, believing as it does in the objectivity of the laws of politics, must also believe in the possibility of developing a rational theory that reflects, however imperfectly and one-sidedly, these objective laws. It believes also, then, in the possibility of distinguishing in politics between truth and opinion—between what is true objectively and rationally, supported by evidence and illuminated by reason, and what is only a subjective judgment, divorced from the facts as they are and informed by prejudice and wishful thinking. Placing realism under positivism is far from unproblematic however. E. H. Carr's "What is History" was a deliberate critique of positivism, and Hans Morgenthau's aim in "Scientific Man vs Power Politics" was to demolish any conception that international politics/power politics can be studied scientifically. Major theorists include Montesquieu, Immanuel Kant, Robert Keohane, and John Mueller. Neoliberalism seeks to update liberalism by accepting the neorealist presumption that states are the key actors in international relations, but still maintains that non-state actors (NSAs) and intergovernmental organizations (IGOs) matter. Proponents argue that states will cooperate irrespective of relative gains, and are thus concerned with absolute gains. This also means that nations are, in essence, free to make their own choices as to how they will go about conducting policy without any international organizations blocking a nation's right to sovereignty. Neoliberalism also contains an economic theory that is based on the use of open and free markets with little, if any, government intervention to prevent monopolies and other conglomerates from forming. The growing interdependence throughout and after the Cold War through international institutions led to neo-liberalism being defined as institutionalism, this new part of the theory being fronted by Robert Keohane and also Joseph Nye. Regime theory is derived from the liberal tradition that argues that international institutions or regimes affect the behavior of states (or other international actors). It assumes that cooperation is possible in the anarchic system of states, indeed, regimes are by definition, instances of international cooperation. For example, if the system is dominated by states that see anarchy as a life or death situation (what Wendt terms a Hobbesian" anarchy) then the system will be characterised by warfare. If on the other hand anarchy is seen as restricted (a "Lockean" anarchy) then a more peaceful system will exist. Anarchy in this view is constituted by state interaction, rather than accepted as a natural and immutable feature of international life as viewed by neo-realist IR scholars. Marxist theories receive little attention in the United States, where no significant socialist party has flourished. It is more common in parts of Europe and is one of the more important theoretic contributions of Latin American academia to the study of global networks. Interest group theory posits that the driving force behind state behavior is sub-state interest groups. Examples of interest groups include political lobbyists, the military, and the corporate sector. Group theory argues that although these interest groups are constitutive of the state, they are also causal forces in the exercise of state power. The "inherent bad faith model" of information processing is a theory in political psychology that was first put forth by Ole Holsti to explain the relationship between John Foster Dulles’ beliefs and his model of information processing. It is the most widely studied model of one's opponent. A state is presumed to be implacably hostile, and contra-indicators of this are ignored. They are dismissed as propaganda ploys or signs of weakness. Examples are John Foster Dulles' position regarding the Soviet Union, or Israel's initial position on the Palestinian Liberation Organization. International relations are often viewed in terms of levels of analysis. The systemic level concepts are those broad concepts that define and shape an international milieu, characterised by anarchy. Preceding the concepts of interdependence and dependence, international relations relies on the idea of sovereignty. Described in Jean Bodin's "Six Books of the Commonwealth in 1576, the three pivotal points derived from the book describe sovereignty as being a state, that the sovereign power(s) have absolute power over their territories, and that such a power is only limited by the sovereign's "own obligations towards other sovereigns and individuals". Such a foundation of sovereignty permits, is indicated by a sovereign's obligation to other sovereigns, interdependence and dependence to take place. While throughout world history there have been instances of groups lacking or losing sovereignty, such as African nations prior to Decolonization or the occupation of Iraq during the Iraq War, there is still a need for sovereignty in terms of assessing international relations. Perhaps the most significant concept behind that of power and sovereignty, national interest is a state’s action in relation to other states where it seeks to gain advantage or benefits to itself. National interest, whether aspirational or operational, is divided by core/vital and peripheral/non-vital interests. Core or vital interests constitute the things which a country is willing to defend or expand with conflict such as territory, ideology (religious, political, economic), or its citizens. Peripheral or non-vital are interests which a state is willing to compromise. For example, in the German annexation of the Sudetenland in 1938 (a part of Czechoslovakia) under the Munich Agreement, Czechoslovakia was willing to relinquish territory which was considered ethnically German in order to preserve its own integrity and sovereignty. In the 21st century, the status-quo of the international system is no longer monopolized by states alone. Rather, it is the presence of non-state actors, who autonomously act to implement unpredictable behavior to the international system. Whether it is transnational corporations, liberation movements, non-governmental agencies, or international organizations, these entities have the potential to significantly influence the outcome of any international transaction. Additionally, this also includes the individual person as while the individual is what constitutes the states collective entity, the individual does have the potential to also create unpredicted behaviors. Al-Qaeda, as an example of a non-state actor, has significantly influenced the way states (and non-state actors) conduct international affairs. Empires of the world in 1910. Waltz's thesis can be expressed in power transition theory, which states that it is likely that a great power would challenge a hegemon after a certain period, resulting in a major war. It suggests that while hegemony can control the occurrence of wars, it also results in the creation of one. Its main proponent, A.F.K. Organski, argued this based on the occurrence of previous wars during British, Portuguese, and Dutch hegemony. NATO International Security Assistance Force in Afghanistan. War, the use of force, is often thought of as the ultimate tool of international relations. A widely accepted definition is that given by Clausewitz, with war being "the continuation of politics by other means". There is a growing study into "new wars" involving actors other than states. The study of war in international relations is covered by the disciplines of "war studies" and "strategic studies". It is often considered that a state's form of government can dictate the way that a state interacts with others in the international system. Democratic peace theory is a theory that suggests that the nature of democracy means that democratic countries will not go to war with each other. The justifications for this are that democracies externalise their norms and only go to war for just causes, and that democracy encourages mutual trust and respect. Religion can have an effect on the way a state acts within the international system. Different theoretical perspectives treat it in somewhat different fashion. One dramatic example is the Thirty Years War (1618–48) that ravaged much of Europe. Religion is visible as an organizing principle particularly for Islamic states, whereas secularism sits at the other end of the spectrum, with the separation of state and religion being responsible for the liberal international relations theory. Events since 9-11, the role of Islam in terrorism, and the strife in the Middle East have made it a major topic. 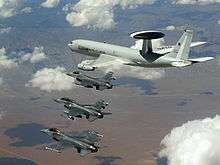 NATO E-3A flying with USAF F-16s in a NATO exercise. ↑ "International Relation", Columbia Encyclopedia (1993) pp.000–0000. ↑ "Stanford Encyclopedia of philosophy". Stanford press. Retrieved 5 March 2014. ↑ Walter Carlsnaes et al eds. (2012). Handbook of International Relations. SAGE Publications. pp. 1–28. Retrieved 2016-02-24. ↑ Morganthau, Hans (1978). Politics Among Nations: The struggle for Power and Peace. New York. pp. 4–15. Retrieved 2016-02-24. ↑ Baylis, John (2011). The Globalization of World Politics. Oxford University Press. pp. 86–87. ISBN 978-0-19-956909-0. ↑ Norris, Cochrane, Charles (1929). Thucydides and the Science of History. Oxford University Press. p. 179. ↑ Baylis, John; Smith, Steve (2001). The globalization of world politics : an introduction to international relations (2. ed.). Oxford [u.a. ]: Oxford Univ. Press. p. 149. ISBN 0198782632. ↑ Mingst, Karen A., & Arreguín-Toft, Ivan M. (2011). Essentials of International Relations (5th ed.). New York: W. W. Norton & Company. ↑ Wilson, Woodrow. "History Learning site". Retrieved 5 March 2014. ↑ Mingst, Karen A., & Snyder, Jack L. (2011). Essential Readings in World Politics (4th ed.). New York: W. W. Norton & Company. ↑ Krasner, Stephen D., ed. 1983. "Structural Causes and Regime Consequences: Regimes as Intervening Variables." In International Regimes, Ithaca: Cornell University Press, pp. 1. ↑ Stuart, Douglas; Starr, Harvey (1981). "The 'Inherent Bad Faith Model' Reconsidered: Dulles, Kennedy, and Kissinger". Political Psychology. 3 (3/4): 1–33. doi:10.2307/3791139. JSTOR 3791139. ↑ p. 13, N. Oluwafemi Mimiko. "Globalization: The Politics of Global Economic Relations and International Business." Durham: Carolina Academic Press, 2012. ↑ p. 17-20, N. Oluwafemi Mimiko. "Globalization: The Politics of Global Economic Relations and International Business." Durham: Carolina Academic Press, 2012. ↑ pp. 14-15, N. Oluwafemi Mimiko. "Globalization: The Politics of Global Economic Relations and International Business." Durham: Carolina Academic Press, 2012. ↑ pp. 15-16, N. Oluwafemi Mimiko. "Globalization: The Politics of Global Economic Relations and International Business." Durham: Carolina Academic Press, 2012. ↑ Snyder, ed., Jack (2011). Religion and International Relations Theory. Columbia University Press. pp. 1–23. Retrieved 2016-02-24. ↑ E.g., Donald Markwell, John Maynard Keynes and International Relations: Economic Paths to War and Peace, Oxford University Press, 2006. Donald Markwell, Keynes and International Economic and Political Relations, Trinity Paper 33, Trinity College, University of Melbourne.